When I think of Springtime, I automatically think of Rainbows. I don’t know if it’s the massive amounts of rain March and April bring or that they symbolize new life, but rainbows and Spring just go together. The first official day of Spring is March 20th. 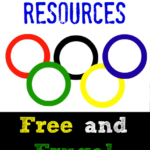 So, in it’s honor I have gathered some fun rainbow resources for you! This Springtime Felt Craft from Upside Down Homeschooling is perfect for preschoolers and older children!! How fun is this Homemade Rainbow Xylophone from And Next Comes L? This Pom Pom Rainbow craft is a wonderful preschool activity for Spring or St. Patrick’s Day. 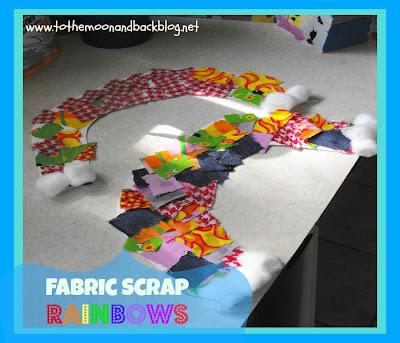 How fun is this Rainbow craft from To the Moon and Back? A great use of all that scrap material you have stored away!! I love this Double-Sided Rainbow Sock from I Heart Crafty Things. Younger children will love this Paper Plate Rainbow craft over at Housing a Forest. 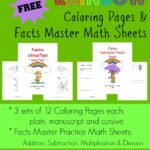 Teach Beside Me has several fun rainbow activities. 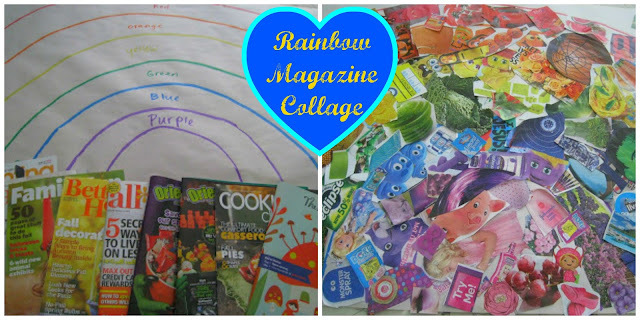 I’m in love with this Magazine Rainbow Collage!! 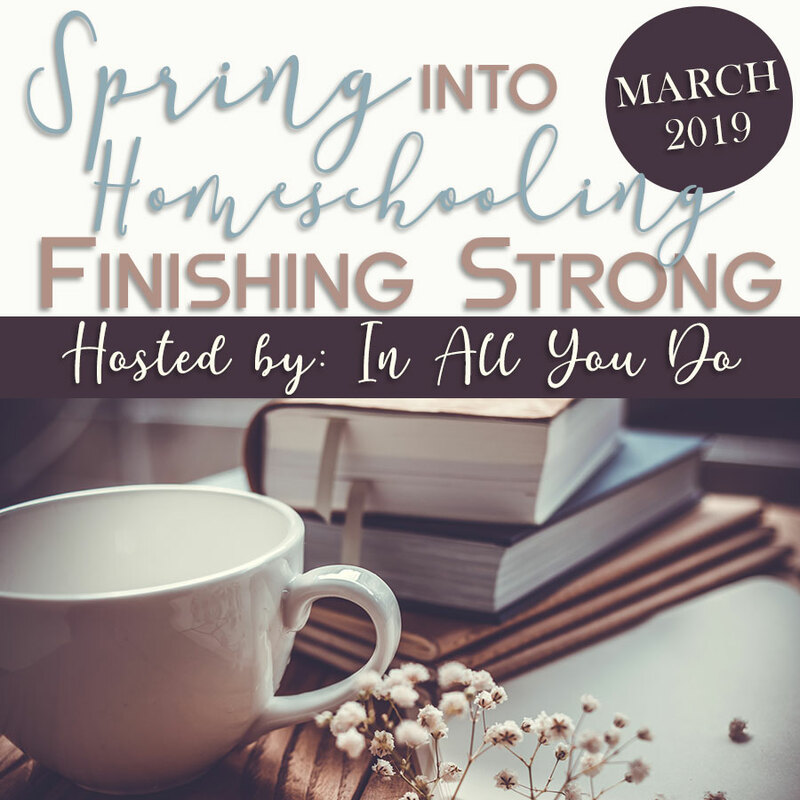 The whole family can get involved in this project!! Plus, it’s a great way to use up those old magazines you have lying around!! You know my affection for my kids’ handprints, so you can imagine how crazy I went when I saw this Handprint Rainbow at Activity Village. This Rainbow Shaker from Activity Village looks like a fun one for the younger kids! This woven paper craft from Teach Beside Me looks challenging, yet fun for young kids. 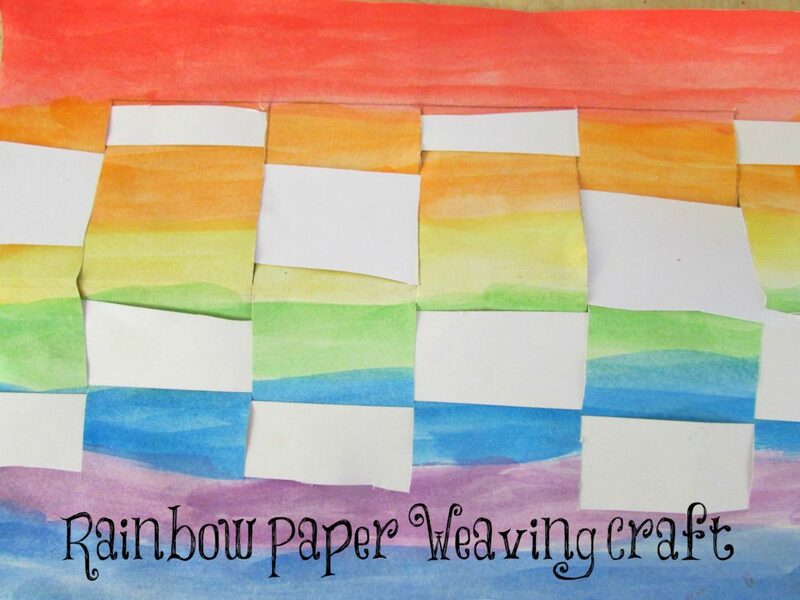 Little ones are sure to enjoy this Rainbow Q-tip painting activity from Teach Beside Me. 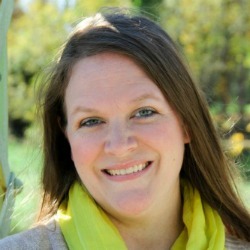 Stef Layton, from Educating Laytons, has some really fun Rainbow Projects great for all ages. Check out these Rainbow Bubble Snakes over at Housing a Forest. 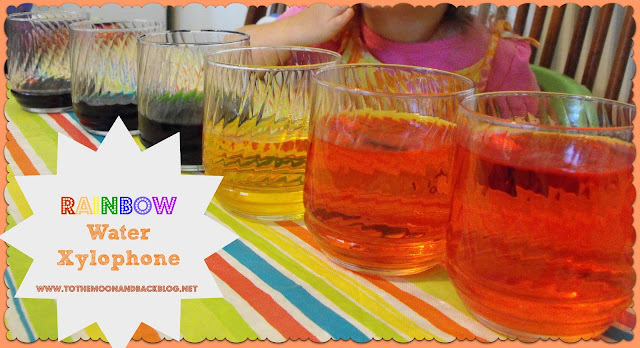 Sweet and Simple Things shares how to make a Liquid Rainbow. This is a great study in density. It’s Raining Rainbows at jojoebi designs!! How fun is this? Do you remember playing water xylophones? Why not make them even more fun and add some food coloring to them! This great idea comes to you from Dusty over at To the Moon and Back!! This is a classic science experiment, but one that kids really love. 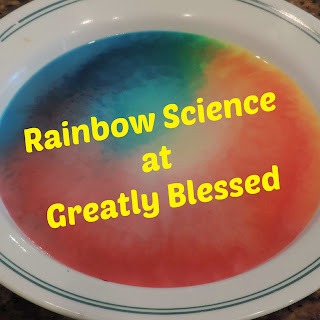 The Rainbow Absorption experiment, from Teach Beside Me, is a favorite one of mine!! 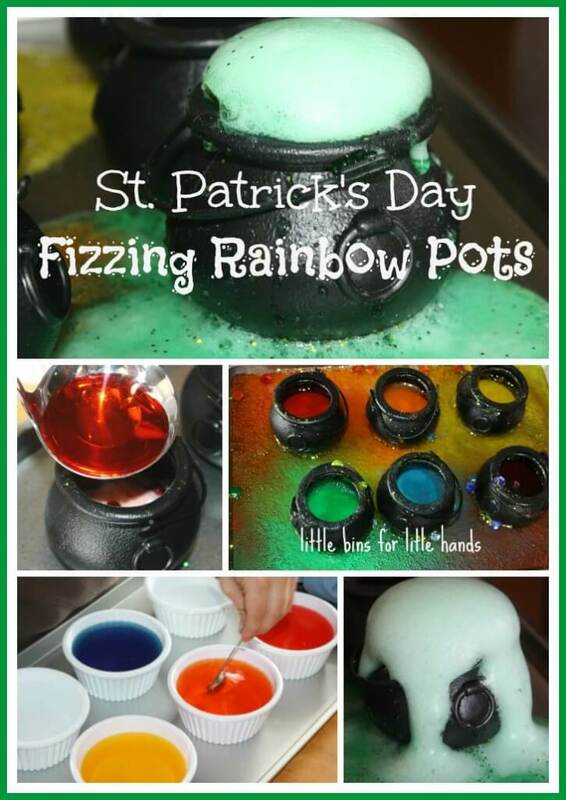 This experiment will work for both St. Patrick’s Day and Rainbows. Who doesn’t love fizzing things? 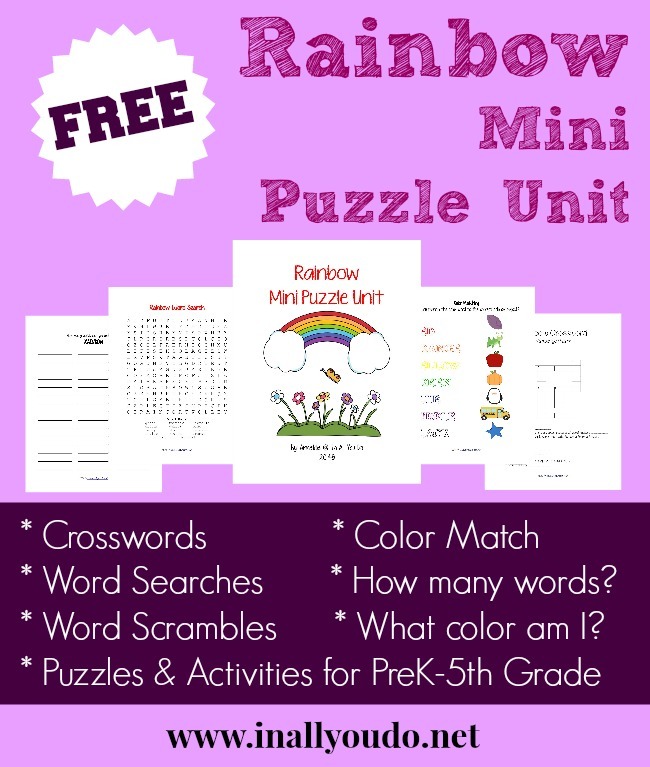 Grab my newest released Rainbow Mini Puzzle Unit. 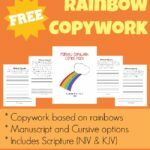 My Rainbow Writing Prompts are a great way to add some creative writing into your Rainbow studies. Teaching Heart shares a fun Fruit Snack sort and graph activity with printable. 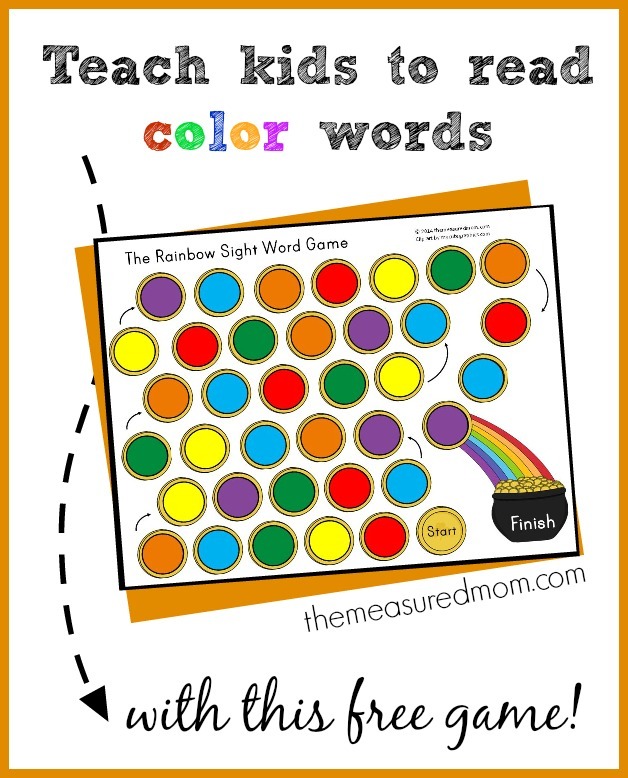 Teach kids to read color words with this fun Rainbow Sight Word Game from The Measured Mom. 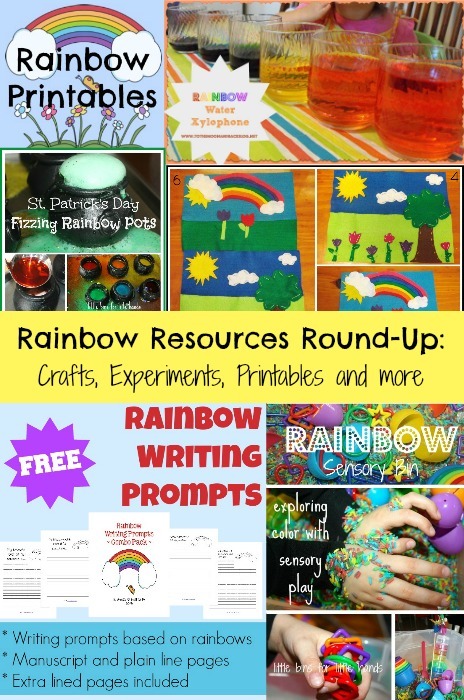 Enchanted Learning has some great Rainbow activities and printables – all FREE. Grab this Rainbow Bump Game Freebie from Fern Smith’s Classroom Ideas. 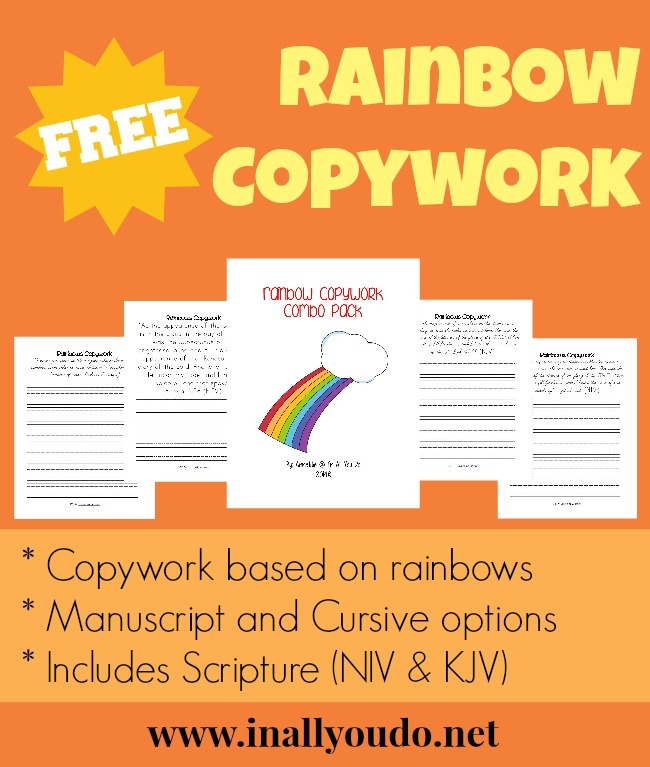 Don’t forget to grab my Rainbow Copywork I released earlier this week. Here’s a Roll n’ Read Rainbow Sight Word Game found at Classroom Freebies. 1+1+1=1 has a fun Somewhere Over the Rainbow Tot Pack. My Rainbow Coloring Pages are a MUST HAVE for some simple fun. Check out these fun Rainbow foods at It’s a Mommy’s World. Princess Pinky Girl shares how to make Rainbow Waffles. Rainbow Fruit Salad over at Mom to 2 Posh Lil’ Divas. How fun is this Rainbow Toast at Teach Preschool. I only wish I had the time and patience to create some of these Rainbow treats from Clean and Sensible. 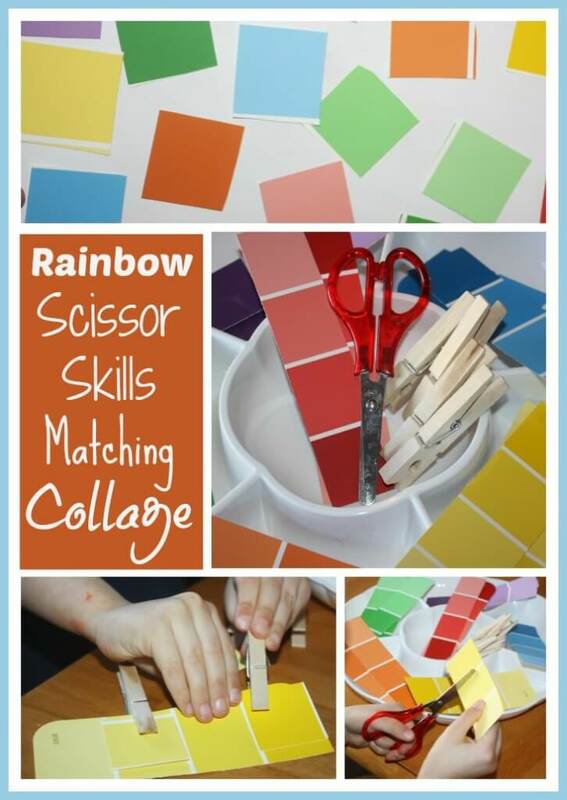 This Rainbow Scissor Skills Activity from Little Bins for Little Hands would be a perfect exercise for preschoolers! And Next Comes L has a fun Rainbow Rice Noodles & Light Table Play activity for you! Check out this Rainbow Drums on the Light Table activity from And Next Comes L.
Rainbow Gelatin Sensory bin from No Time for Flash Cards. Housing a Forest created some a Glitter Rainbow Playdough Recipe. 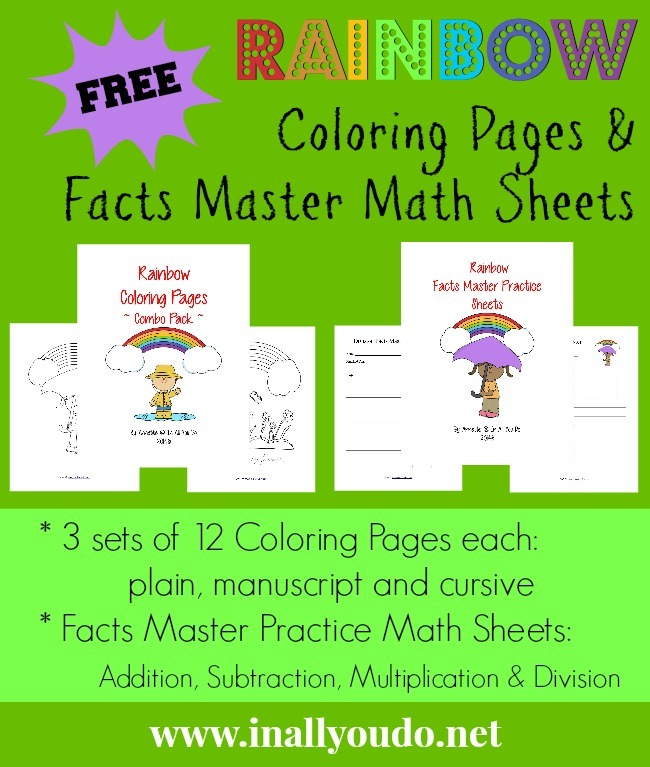 1+1+1=1 has a Rainbow Lapbook available with printables. This beaded Rainbow from I Can Teach My Child, is perfect for small hands and motor skills!! Sensory bins are great for little hands. 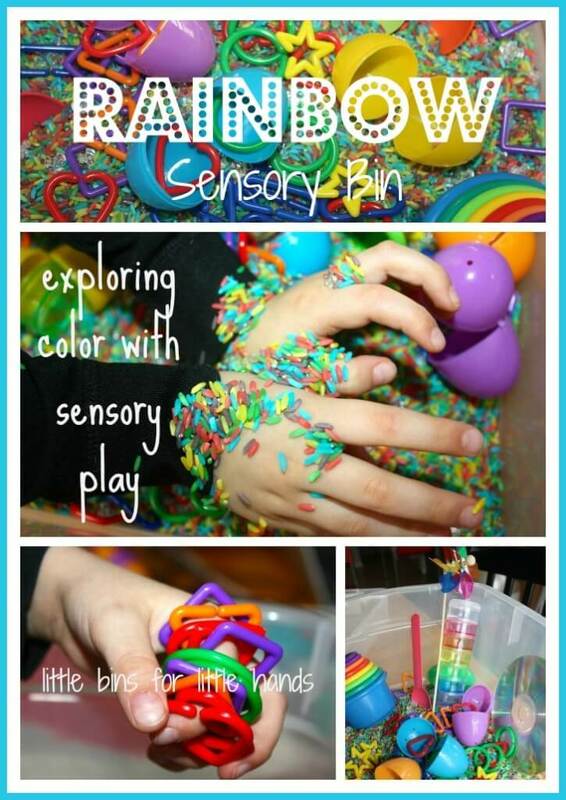 Check out this fun Rainbow Sensory Bin from Little Bins for Little Hands. Check out the list of Colors from Enchanted Learning. 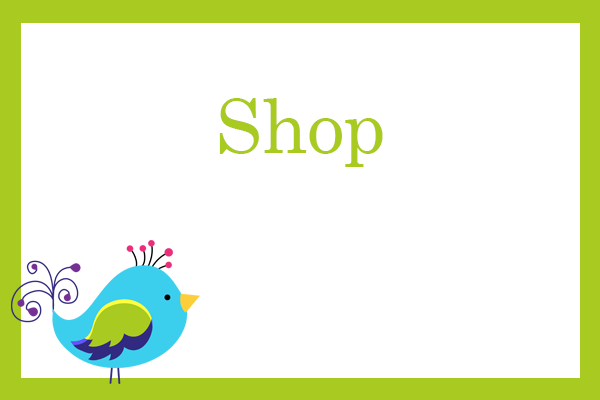 They have categorized objects, printables and activities for each color of the rainbow and more. Want more rainbow ideas? Check out my St. Patrick’s Day and Spring boards on Pinterest. Thank you for featuring my craft from Heather’s blog! 🙂 Blessings! @MistyLeask:disqus it’s so cute and fun!! I can’t wait to pull out our felt and try it in a few weeks!! @steflayton:disqus You are so welcome!! It’s got great activities!! Thanks for including To the Moon and Back! Great list! @dustytothemoonandback:disqus You are so welcome! !